This unique confectionery and lunch room in Jeffersonville's downtown historic district comes complete with a 50's soda fountain and original tin ceiling. 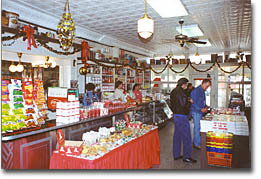 The old-fashioned candy jars, cases, and turn-of-the century equipment transport you back to the good old days of home-made candy and a real fountain drink. Its Candy Museum and Candy Demonstration Area offer a glimpse into the world of historic candy making, packaging and advertising. Live candy-making demonstrations are frequently given. 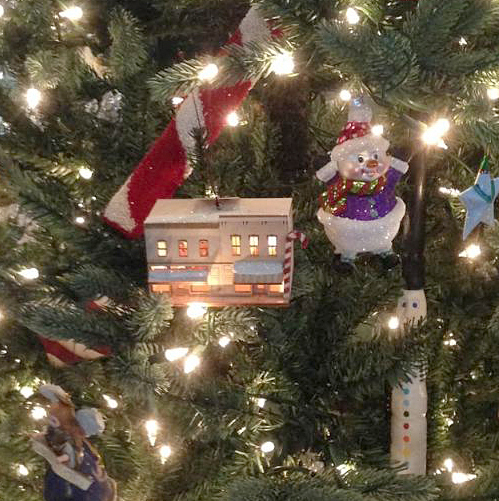 Tours are available and groups are asked to call in advance to schedule a FREE tour of the Candy Museum. 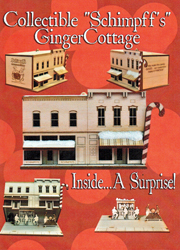 Now available, our own limited edition Schimpff's Confectionery collectible Ginger Cottage. 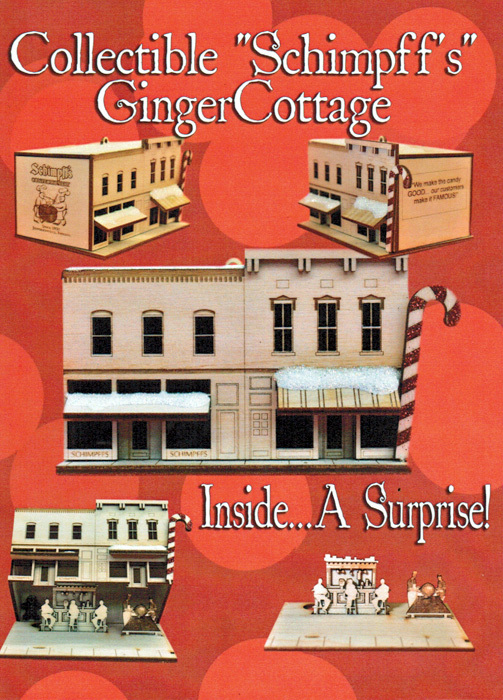 Our cottage shows the front of our Candy Store and Candy Kitchen and when you look through the candy store window you will see our Soda Fountain. Look through the Candy Kitchen window and yes, there are the current owners, Warren & Jill Schimpff pouring a batch of our famous Schimpff's Cinnamon Red Hots. 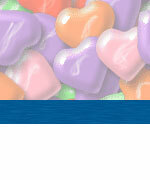 Select hard candies, chocolate, and gift shop items are now for sale on our Web site. Visit the CANDY STORE to buy select Schimpff's specialties. Lunch is served from 11:00 am - 3:00 pm M-F and 11:00 am - 2:00 pm Sat. and includes soup, sandwiches and homemade desserts. Schimpff's old-fashioned soda fountain serves traditional malts, milk shakes, sundaes, and sodas, as well as old-time favorites, such as cherry and chocolate Cokes. 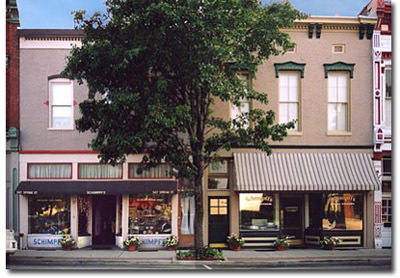 Schimpff's Confectionery has been serving southern Indiana and Northern Kentucky since 1858, and we welcome you to come visit us when you can. 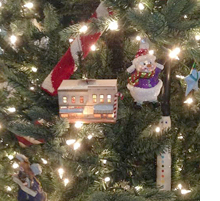 Please call for special holiday store and deli hours for the week before Valentine's Day, Easter and Christmas (Deli may close early or be closed).